It is a regular pattern of a business to have an extensive collection of documents that are no longer of use, but that need to be disposed of properly. When materials that are no longer needed include private client information and other confidential information, merely throwing the papers away is not sufficient and not in compliant with Data Protection Laws. Also, disposing of large amounts of material can be harmful to the environment if done improperly contributing to pollution. Proper disposal should be eco-friendly and recyclable if possible. Therefore, you should shred your no-longer-needed documents, and when you have a UK company that has a large amount of shredding needed, hiring a business shredding service in the UK is the best way to handle it. 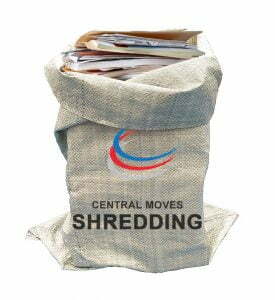 Central Moves offers a business shredding service in the UK that you is reliable and that you can trust to get the job done right. Contact them for an estimate on your shredding needs for your business. 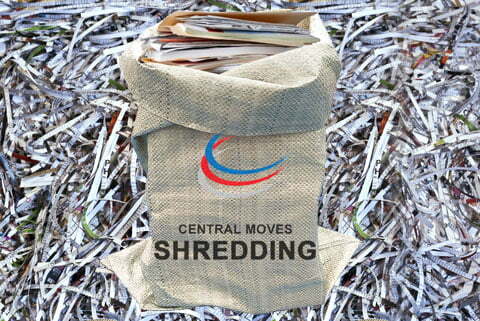 Using Central Moves shredding service is very easy. You can either bring your confidential waste into our warehouse or we can arrange to collect it from your office. Our shredding prices are based on a standard shredding bag as pictured, filled up to the ‘maximum fill’ line or a medium archive carton. If you already have it bagged or boxed, we will pro-rata the volume to our standard size. Once your paperwork has been securely shredded, we will issue a ‘Certificate of Destruction’ showing the date of destruction, what has been shredded and who carried it out. If you require a regular collection of confidential waste from your office, then this can be arranged by Central Moves. Normally an annual contract will be issued and collections tailored to suit your business, but typically every four weeks. Many of the documents you need to be shredded likely contain client and company information of a confidential and personal nature. Therefore, it’s imperative that you hire a reputable UK company you can trust to handle your documents and rid you and your company of any concerns regarding security. You need to hire a shredding service not only due to the large volume of materials but also because you don’t want your clients to become victims of fraud, identity theft, etc. Not only would it hurt your clients but it would put your company at risk of violating Data Protection Laws. Central Moves have the use of state-of-the-art shredding technology, and they ensure that confidential information is not leaked. The paper should be shredded to the finest result, destroying all information. With high-security shredding, Central Moves also have adequate vetting and security checks of its employees. CCTV monitor the shredding facilities. You will be provided with documentation certifying that your material has been removed and destroyed. Is it a collection service ? Is it an on site service ? No, its consolidated with us at our depot and then taken to our shredding site where your documents will be confidentially disposed/shredded. Is it for business and residential clients ? What’s the minimum charge/ is there a minimum charge ? Do you supply a waste transfer note at collection ? We supply a document for clients to sign upon us receiving the bags/boxes waste notes can be emailed upon request. Do you offer a certificate of destruction ? Do you supply lockable bins or sealable bags for document collection ? Can I deliver to you for shredding ?